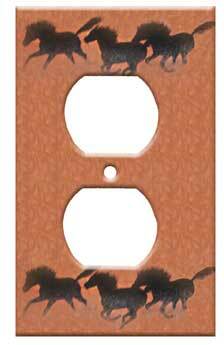 This beautiful horse switchplate cover is evocative of the Wild West and the spirit of the mustang. Exclusive to Kokopelli's Treasures, made with a special decoupage technique. (Note: These are not handpainted.) Available in the following configurations: single toggle, double toggle and outlet cover. Perfect for your western, southwestern or rustic decor. Comes with screws for installation. 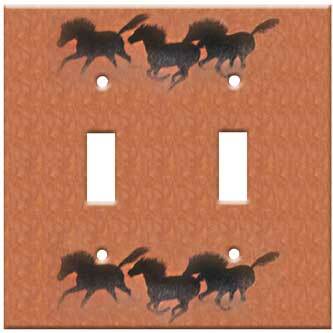 Order your western decorative switchplates today!